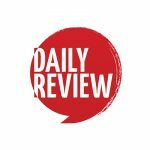 Wesley Enoch: embrace the corporate sponsor | Daily Review: Film, stage and music reviews, interviews and more. After the 2014 Sydney Biennale artists’ boycott many questions were raised about how artists negotiate a changing moral and financial landscape. Wesley Enoch the artistic director of Queensland Theatre Company talked about practical and ethical dilemmas for those giving and those receiving non-government support at a Currency House Creativity and Business Breakfast address this morning. An edited version of his speech “Ethics and Drama of Sponsorship” delivered at Sydney’s Museum of Contemporary Art is published below. I am the first indigenous artistic director of any of the state theatre companies of the country. My family come from Stradbroke Island or Minjeeribah in Quandamooka country just off the coast of Brisbane. But I am so much more than that. On my father’s side of the family we have connections to three different clans, a great great grandfather named Fernando Gonzales a filipino man, another great grandfather from Rotumah Island in the South Pacific and a range of other bloodlines. On my mother’s side of the family we have Danish great grandmother and a Spanish great grandfather who met on a boat coming to Australia after World War I, as well as a mix of European influences. I am like the average Australian, a mix of traditions and stories to tell. Since time immemorial the artist has relied on the largesse of the tribe to allow them space in a society to practise their craft. Patronage has been a structural support for artists since we first stood on two feet. From tribal practices within indigenous peoples across the world, here on this country, European models of patronage where the rich exercised their wealth through signs of artistic knowledge and alignment with these outliers of a society: societies have advanced or stagnated in parallel with their artistic endeavours. In recent times governments have taken on a greater role in supporting artists. The 20th century saw the growth of publicly endowed galleries, theatres, concert halls and festivals throughout the world. Governments have embraced the intrinsic role of artists to be creative thinkers, social provocateurs and cultural canaries in the mineshafts of its citizenry. With government support and a post war environment of the mid 20th century came less control over the artists as elected representatives developed a more hands off approach to avoid accusations of propaganda and social engineering. ‘Arms Length’ decision making has taken hold as the norm. To maintain the role of the artist in our modern society our major funding bodies engage ‘experts’ from the field to help shape policy, collections and funding decisions. In recent years successive governments have started to erode this position through targeted funds, ‘dollar for dollar’ incentive deals, and general rewards for different behaviours within the funding environment. Increasing levels of interest and intervention by ministers have occurred as governments of all persuasions deal with competing priorities, increasing demands on a shrinking resource pool and the need to balance budgets. Subtle and not so subtle signals are given to companies and institutions to find alternatives to public funds to do their core roles. The larger the organisation the greater the reliance on box office, earned income and the recent move to philanthropy and sponsorship. I know at QTC we have experienced a 50% growth in sponsorship in the past four years, a 150% increase in philanthropy, a 20% increase in audiences. Though government arts grants are still the greatest supporter of the company most of the almost $3 million growth in the company’s turnover has come from increases in earned income and alternative sources of support. Does this appetite and reliance on new monies from the private sector create a timidity amongst our companies and eroded our ability to dissent, offend and challenge? Have we become quiet and compliant to the will of a new breed of patrons and taste makers? Ralph Myers and David Pledger have both outlined the fact that amongst our larger arts organisations the Chairs of Boards and the Boards themselves have become increasingly populated by business people, private philanthropists and managers. This is seen as an attempt by companies and governments to build non-grant income for companies. But has it shaped the artistic will of a company either directly or indirectly? Has this created a world where artists don’t fit in? Or created a mould where artists are not trusted? Have we become fearful of artists like Bill Henson or Barrie Kosky or an artist who will offend and polarise an audience? I fundamentally don’t believe this is the case, but I think we need to be vigilant. I think if artists consider themselves as equals to board members, philanthropists, sponsorship managers, believe in the worth of their work and ambitions, then a dialogue can occur without necessarily compromising their artistic intent. But I have seen a growing trend of late where the artist feels disempowered in these discussions. I come from a collaborative art form and an indigenous community so I think I am all for a good debate about what is the ‘right’ way forward together. At Queensland Theatre Company we had a project that was so big that there was no way we could afford to do it alone. Enter Silbelco, a family-owned company with mining interests across the globe. One of those mines is a sandmining operation on Stradbroke Island….I call it Minjeeribah…it is my tribal lands. I must admit to feeling conflicted about this potential relationship. The project we needed the money for was Black Diggers a show of such immense importance to the nation’s history that even with the support of the Sydney Festival and extra support from the Australia Council its future was dubious. Black Diggers is about the stories of indigenous soldiers who went to and returned from World War I. It set me on a journey of discussion about values…I talked to elders and community members. I can tell you now there is no consensus on this topic. In the end I stood by the decision to accept the support of Sibelco, because ultimately the intent of the work was to express an Indigenous perspective and celebrate the contribution of those indigenous men who served and sacrificed. We were honest about the difficulties and the intentions of the work and Sibelco is a fantastic supporter. I mean it. They don’t try to tell me what to do, they don’t try to make propaganda or corrupt the intention of the artistic vision. They are not deaf to the concerns in the communities in which they work and attempt to create more value for those people they work with. Not to assuage guilt, or mediate bad press but because they believe it is a responsibility of a corporate citizen. I wrote a Platform Paper last year which is published by Currency House, and one of the topics I wrote about was the boycott of the Sydney Biennale by a number of artists in 2014. Now I respect each person’s right to navigate the minefield of association and sponsorship as they see is right, it is a complex issue and I do not know all the arguments involved but I personally feel that boycott is more about a battle of brands than it is about making a difference around a social concern. The real challenge is to engage in a debate and create work that reflects that debate. The silence of the artist is an abrogation of our basic role in our community. If you believe in an issue enough make your art a reflection on the issue. If the organisation or the sponsor is not making demands on the work then can you not accept the support from the sponsor; but at the same time create a critical environment within the work or in a discussion about the work that promotes alternative views to those of the donor? For me that is the key. It’s the ‘arms length’ that helps us accept monies from a government that we may or may not agree with. A government of a country that has systematically disenfranchised Indigenous Australians, promulgated obviously racist policies over the years and proven themselves ineffectual advocates for change; but I will accept their support to challenge them and give voice to the opposing side of the debate. The true drama of sponsorship comes from when you (as an artist) can express the reasons you want to make the work, your values and the stories you want to tell. When you can dedicate your life to engaging in important work that takes the world to another place of investigation and growth. And the sponsor or philanthropist can do the same thing — they can articulate why they want to share their treasure. What the values being expressed through sponsorship and philanthropy are — and what they expect from the relationship. It is not a transaction of master and servant, it is a conversation of equals, it is not a mendicant meets Midas relationship, it must be where we talk about what we want to achieve and if there is irreconcilable disagreement we can move on without penalty or prejudice for any future conversation. I promise to be articulate and forthcoming, challenging and equal to the debate if those who are willing to support artists are open to discussion and discourse, robust challenges and believe in the role artists play in our society. Is it to harsh to call Wesley and Uncle Tom? It is impossible to make any meaningful change in Australian Art or the Arts. Now Wesley is just some talking head window dressing for the arts public servants and rent seekers who are only interested in their jobs or their next job. As for the sponsors they just want to white wash their misdeeds OR be seen to be uber rich. We have to accept Australian Art is Government Art and is totally unwanted internationally. I am in Berlin and Australia means nothing even though last decade we spent millions on a big fine art show here. Result? Zip but boy did a bunch of art public servants get a good junket out of it.